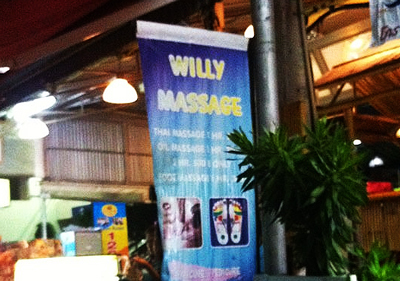 Now I know what a Phuket special is! Seedy holiday destinations seem to offer so many interesting things don’t they? I wonder if prince William knows he can get a personal massage here – or is that sign offering something else to someone else. What do I know I am just a Cat happily and have no idea or interest in what you humans get up to!